The key to navigating both pathways with ease is your ability to remain detached. The latter allows you to access your freedom, which is a source of energy and perspective within your being thus freedom is born from within you rather than any outer experiences or situations. Detachment and freedom are the same, they require a great volume of love to be recognised by you within your being and courageously emanated into all that you are and create. I, Archangel Michael believe that the lesson of evolution which is being delivered to humanity at this time is an invitation to open your mind to love. At this moment opening your mind to love is more essential than encouraging your heart to expand to receive and accept love, any form of love. Your mind has the power to rule over your entire being. Your perspective is your reality; … When your mind is focused upon love it is expansive creating experiences of freedom and heightened connection with the Creator. The key is to exercise detachment in order to create freedom. Think of your life as a game, meaning that although life may seem serious with consequences, dangers and threats however real it may feel it is an illusion to aid your spiritual evolution. Imagine that, I, Archangel Michael, invited you to play a game. I put you on a planet and tell you that the more thoughts, perspectives and beliefs you create within your mind aligned to love the easier the game will be and the happier you will feel. I would also tell you that negative or misaligned thoughts, perspective and beliefs would have consequences (you would experience them) however that which manifests is not real, it will not harm you and can be altered by you. Yes, you may play the game seriously focusing upon aligning with and expressing love and yet there would be a carefree aspect because you would be able to see beyond the illusions of your creations which were misaligned, thus you would just shrug, learn that the perspective doesn’t service you and move on. This is actually the game you are playing upon the Earth now. Detachment is a carefree perspective which can be described as a peaceful, calm and simple perspective, this is the focus the love of Venus wishes to bring forth. Thank you for following my Blog over the last few years. I hope you enjoyed the posts : ). Everything I create is aimed at helping people to realise just how Amazing they are – to understand that we are not just human beings but we are in Truth incredible unlimited beings of Pure Divine Light. I hope you found some of them : ) helpful useful inspiring or interesting. 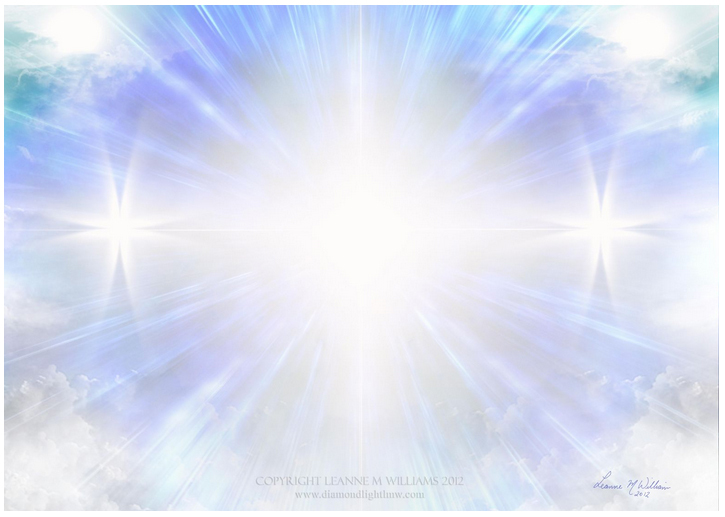 I have recently created a new Site and Blog and if you would like to continue to receive inspiring posts that will recognise value and help to awaken the Beautiful and incredible Soul within you please visit the Light Divine Blog. As we enter into the Era of Love the presence of the Goddess is potent, it symbolises that spiritual growth and awakening can be achieved through graceful shifts rather than painful or difficult shifts. New Channelled Message from the Sacred School of OmNa: Goddess Seeds of Light by Goddess Rosanna. In 2006 after I had practiced a Soul Activation Meditation it led me to a Profound Awakening and Unification with my Soul and Source as One, today 23/01/2013 i have received an e-mail from Owen Waters of InfiniteBeing.com who is sharing a very simple and similar method which i believe would be very beneficial to those who wish to Awaken, it is called ‘The Spiritualize Technique‘. If you are interested in awakening to the Divine Truth within you, please click-here or here to try the Meditation.